The Goyder Institute for Water Research was established in 2010 to support the security and management of South Australia’s water supply and contribute to water reform in Australia. It is a partnership between the South Australian Government through the Department for Environment, Water and Natural Resources, CSIRO, Flinders University, the University of Adelaide and the University of South Australia.  The South Australian Research and Development Institute (SARDI), SA Water, and the National Centre for Groundwater Research and Training (NCGRT) are Associate partners. The Goyder Institute aims to enhance the South Australian Government’s existing capacity to develop and deliver science based policy solutions and in doing so, underpin the sustainable development of the State. It is further intended that this will also strengthen the State’s position as an international leader in water resource management and provide the South Australian community with confidence that the best scientific minds available are being targeted at resolving the State’s key water resource management issues. effective water management policy and decision making with clear and transparent trade-offs. The Goyder Institute for Water Research is a key member of the Australian Water Research and Development Coalition (AWRDC), formed in recognition of the benefits of coordination across research organisations in the urban water sector. This national level collaboration aims to deliver the best value for money research and development for the Australian urban water sector, undertaking priority research and development efficiently, limiting duplication of research and improving the effectiveness in translating research and development outcomes into practice for stakeholders.